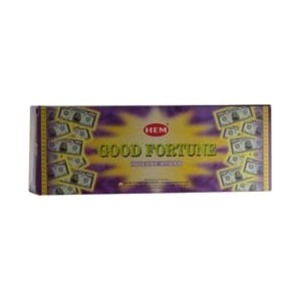 Light this incense to create a mood in which you can bring Good Fortune to your life. Perfect for rituals and spells designed to bring opportunities to you or a another. Made by Hem, one of India's leading incense makers. 10" long incense sticks, 20 gram box apox. 20 sticks. Hand rolled in India.